Office space says a lot about you and your business to those who you do business with. From the furnishings to the receptionist to the IT infrastructure, a well-appointed office reflects well on you. Many small business or home-based business owners never actually set up an office though, using serviced office’s rent instead. These offices provide a vital service to smaller or mobile companies, but they still need to project the right message. Knowing how to find a great office and what to look for will help you build your "storefront" image. When clients first enter an office, they walk directly into the reception area. This area, then, becomes their first impression of you and makes this part of an office a critical area of focus. You should look for well lit, clean and comfortable reception areas with delineated spaces. Chaotic and confusing reception areas do not project an organized, focused image of your business. What does your furniture say about you? If it looks like you picked it up at the latest flea market, it says you look cheap and send your clients to the restroom looking for hand sanitizer. Office furnishings should look stylish, clean and comfortable. Each office space should have the appropriate furnishings as well. So the conference room gets a sturdy table, cubicles get ergonomic task chairs, and executive offices get more luxurious furnishings. A great deal of productive work time and meeting time is wasted trying to figure out technology issues, especially if you don't have an in-house IT specialist. After all, we may live in the digital age but few of us have the skills to build an IT infrastructure. Great office space has built-in IT infrastructure as part of the set-up, including phones, Internet, wireless capabilities and cable. Conference rooms should include wiring for sound, digital projection, document cameras and other technology considered vital for meetings in the 21st century. Technology is one part of 21st century business. Flexibility is another. 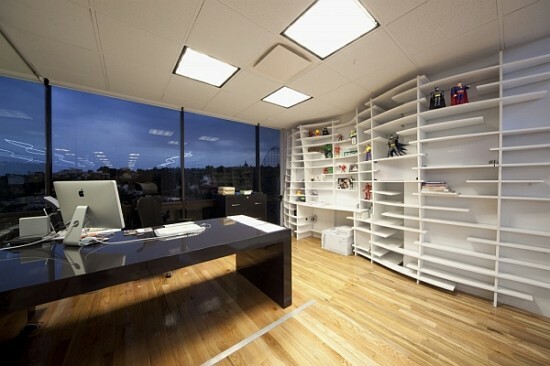 Great offices should have flexible spaces to accommodate your work needs, which likely change from project to project. Offices locked into one set up limit your ability to collaborate and innovate. Look for office spaces that provide for flexibility in work spaces through furniture arrangements or modular office furnishings. Serviced offices rent provide a valuable function in today's business climate. These offices still have to meet the criteria of a good office though. Keeping these key office elements in mind will help you find the right offices to fit your business needs.